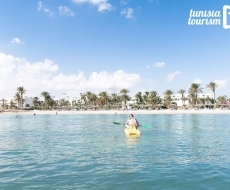 The great island of the Tunisian South and Zarzis, its neighbour on the mainland, are one of the most marvellous holiday destinations in the Mediterranean. 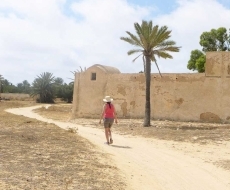 Djerba is also a traditional land and an gateway to the nearby Sahara. Are you a daydreamer? You will love Djerba for its fine sandy beaches fringed with palm trees, its seas in multiple shades of turquoise, its serene landscapes and its colourful sunsets. Also on offer are numerous massages and treatments proposed by the many thalassotherapy centres of the island. Do you think that holidays are made for moving around and having fun? You will have many holiday clubs to choose from. You can try multiple beach activities, go out in the evening to restaurants and nightclubs, take a trip out to sea on board a pirate ship, or along the lagoons riding a quad bike. Finally, don’t forget that Djerba and Zarzis are your gateway to the Sahara. Berber villages, Ksour and sand dunes are a 4x4 ride away! Take a stroll through Djerbahood, the village of street art. 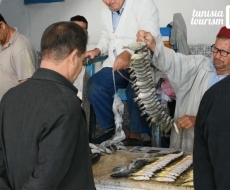 Buy a fish in the Houmt-Souk market, you can have it grilled and then taste it straight away in one of the small neighbouring restaurants. 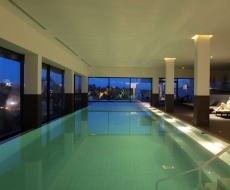 Exotic massage, perfumed clay wrap in the hammam, or complete thalassotherapy treatment? 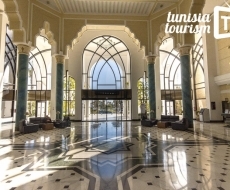 Djerba and Zarzis have magnificent spas. A thousand year old synagogue, original traditions, beautiful museums and even a colourful street art village: places of interest are plentiful. The walls of this seaside fortress still ring with the battles that raged there, in the 16th century, between the Spanish and the Turkish corsairs led by the famous Dragut. Practical information. 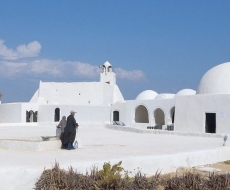 Fitted for visiting, this small countryside mosque is typical of Djerba. Built in the 14th century, it was a community center including a school, defence devices in case of an invasion, a mill and a bread oven for nearby farmers… Its refined architecture is astonishingly beautiful. Open for visits in the morning from 7 to 12. Jews and Muslims have peacefully cohabitated for centuries on the island of Djerba. Visit this pretty synagogue decorated with ceramic tiles in shades of blue. It is said to have been founded in the 6th century BC, evidence of a very longstanding Jewish presence on this island. A large farm of Nile crocodiles is the main attraction of this activity centre: feedings are particularly impressive! It also contains a museum with a superb collection of ancient objects from Tunisia and the Middle East. You can also visit one of Djerba’s traditional dwellings, a potter’s workshop, an oil press… all faithfully reconstructed. The small village of Erriadh, in the middle of the island, has dedicated itself to street art. 150 artists were invited from all over the world and have completely transformed it; their graffitis and frescos blend wonderfully with the village architecture. Read more on the Djerbahood website. Connected to the mainland by a ferry and by an ancient road (the “Chaussée romaine”), Djerba is close to the first sites of the Sahara and the extraordinary landscapes of the “desert of stone”. The medina of Gabes and its maritime oasis – the only one in the Mediterranean – are worth a detour. This site is one of the most stunning in Tunisia: craters dug into the rocky hillside hide true subterranean homes. One of them was used as a set in an episode of Star Wars. Visit other Berber villages like Tamezret in the surrounding area. Around Medenine and Tataouine stretch majestic landscapes of arid mountains and rocky spurs. Unusual structures arise out of this “desert of stone” : the Ksour, collective granaries formed of superimposed chambers, and Berber villages dug into mountainside.